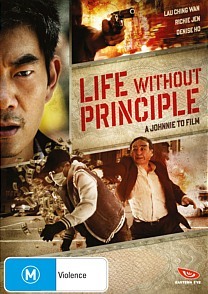 Life Without Principal DVD Review The results are spectacular and, rest assured, much more entertaining than that pretentious fizzer Finnegan’s Wake - this is riveting stuff, and another winning entry into the oeuvre of the Hong Kong cult master. 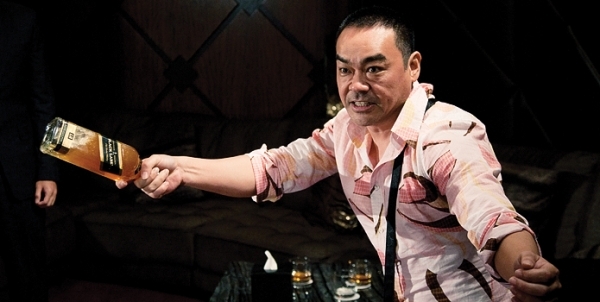 Hong Kong director Johnnie To has been responsible for some of the region’s most accomplished and well-regarded cinematic fare of late, including the award-winning crime drama Election (2005), Exiled (2006) and the supremely dark revenge thriller Vengeance (2009). His latest work to hit local shores courtesy of Madman is Life Without Principal, which was the Hong Kong entry for the Best Foreign Language Oscar at the 85th Academy Awards. The film also picked up another handful of gongs at the Golden Horse and Hong Kong Film Awards, including Best Director and Best Screenplay. It’s another engrossing and stylishly crafted drama from a director at the height of his storytelling prowess. The manner in which To introduces his main characters is artful, almost languid, and as the movie proceeds the tensions escalates - we watch with baited breath, uncertain of exactly what fate will befall our leads but knowing that something dramatic is just around the corner. The subject matter this time around is the Greek government debt crisis, and more specifically its economic impact on three central characters - a bank teller (Denise Ho), a police officer’s wife (Myolie Wu) and a Triad member (the inimitable Lau Ching Wan). The film’s shifting narrative and interlocking, non-linear method of presentation add an additional layer of complexity to an outwardly straightforward story, which transcends the genre of heist or gangster flick and ultimately becomes a meditation on the corrupting and all-encompassing influence of money, as well as the lengths to which people will go in times of desperation. Buoyed by some truly impeccable performances, Life Without Principal brings to mind James Joyce’s justification of his famously impenetrable final novel Finnegan’s Wake; at this point, the Irish author is supposed to have asserted, I can do anything I want with the English language. In much the same way Life Without Principal is the work of a supremely confident artist, in this case a filmmaker who can do anything he wants in the medium of film. The results are spectacular and, rest assured, much more entertaining than that pretentious fizzer Finnegan’s Wake - this is riveting stuff, and another winning entry into the oeuvre of the Hong Kong cult master. The anamorphic 2.35 widescreen transfer is crisp and vibrant throughout, with nary a hint o’ grain. Both Cantonese and Mandarin 5.1 surround soundtrack options are available, with English subs of course.